THREE-YEAR-OLD Chanel Cole loves nothing more than her mum's homemade spaghetti bolognese, bananas and mangoes. 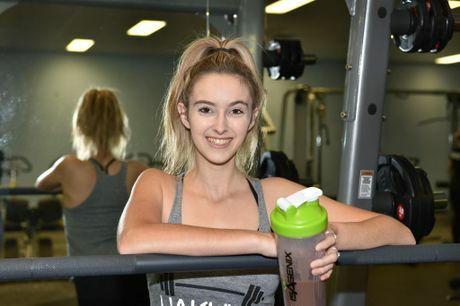 And it is all thanks to her health-conscious mum Chloe Tazewell. When it comes to her daughter's food choices, Chloe puts nutrition first. We hit the streets to ask if nutrition was a priority at home and when packing a lunch box. What do you pack in a lunch box: We hit the streets to find out what you pack in a lunch box. Chloe, 23, who is a busy mum, said her daughter's daycare provides nutritious food for her little girl and when she's at home it's all about a balanced diet. "At home I try to provide a variety of as much nutrition as I can," Chloe said. Chloe said it was all about a balanced diet with the occasional treat. Grab your copy of Saturday's Weekend Magazine in the Chronicle for our two page Hey Mumma spread.